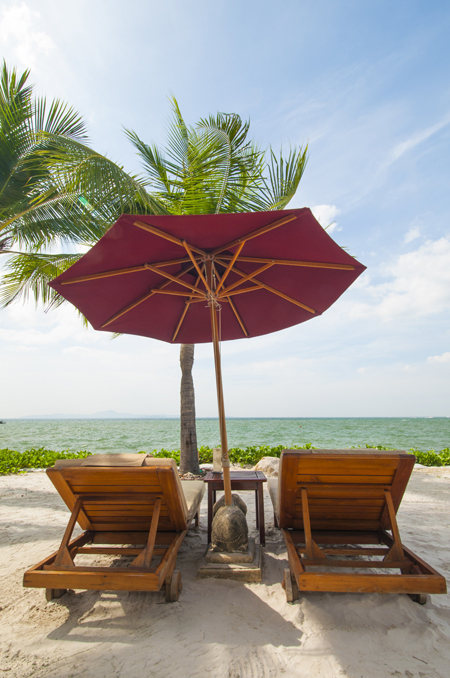 Is Your Shop Floor Ready for Vacation? Ever wonder how production will continue if you, or someone else, isn’t there? If so, you have a serious problem, and we have a solution. I have a simple question for you. If you went on vacation tomorrow, or won the lottery, or were hit by a bus and lost your memory, or just decided to take a day off to watch table tennis, could your co-workers manage operations? How efficiently could your responsibilities be transitioned to someone else? What would they miss? What tasks would fall through the cracks? Even though manufacturing relies on processes and workflow, and we all work to develop best practices for every task, most of us struggle with knowledge gap. It seems like every shop floor is filled with missing information, or information silos. We’re so focused on completing orders that documenting processes is never a priority. And so, when a particularly wicked game of table tennis comes on, everyone scrambles to “cover.” This is a sign of a much deeper, and more dangerous, problem. You have less control of your production, the center of your business, than you might think. It’s not until one piece from the massive production puzzle is missing that we see the gaps. We call this the “information-drain” on the shop floor. An MES or paperless manufacturing solution does more than remove paper, or collect shop floor data and set schedules. First and foremost, it manages workflow. Orders and planning are stored in the system, which are then organized as operations in a work plan. With modern MES, data collection, asset management, and more can be added to individual plans. The entire workflow should be mapped to the digital system, and can be easily retrieved and reviewed. Done correctly, the system will expose “information silos” and eliminate them. The information needed to complete each task is loaded to the system. Even a quality check to collect measurements and remove non-conformances, often handled separate from production, can be set up as an operation in the system. Information from other systems used in production can be integrated if data from a PLM or the ERP is used in an operation. The system organizes everything you need to know to complete work. Once you start mapping processes to the system and using procedural enforcement on the shop floor, the “make-it-work” methodology is quickly eliminated. Many people approach an MES or paperless manufacturing to solve a specific problem such as quality escapes, out-of-control paper on the shop floor, better data collection, production visibility or to manage regulatory audits, but a key benefit of the system is managing workflow and processes. A (welcome) by-product of using the tool is better understanding of the processes in production. Paper-based records and planning, which is often filled with gaps, incomplete, and many times never even used, is the breeding ground for knowledge silos. Without a system to guide response, your (physical) presence is necessary when problems occur. Solutions require you to physically gather critical information, or supply the knowledge needed for the solution. With a digital solution, knowledge is safety and completely encapsulated in the system, providing the context your team needs to implement a response to problems – leaving you to go on vacation whenever you choose without jeopardizing your company production flow. Want to discover how easy it is to use your planning in a paperless system or to map your shop floor processes to our MES? Give us a call or set-up a time for a free workflow analysis. We’re always happy to help. This entry was posted in Manufacturing, Manufacturing Execution System, Manufacturing Solutions, MES, Paperless Manufacturing, Uncategorized and tagged Information silos, workflow management on April 22, 2015 by Ed Deaton.